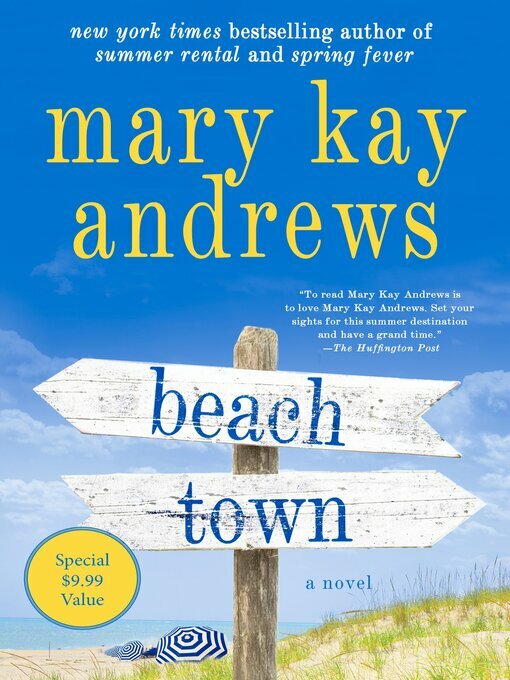 The item Beach town, Mary Kay Andrews, (electronic resource) represents a specific, individual, material embodiment of a distinct intellectual or artistic creation found in Lawrence Public Library. Greer Hennessy is a struggling movie location scout. Her last location shoot ended in disaster when a film crew destroyed property on an avocado grove. And Greer ended up with the blame.Now Greer has been given one more chance&#8212; a shot at finding the perfect undiscovered beach town for a big budget movie. She zeroes in on a sleepy Florida panhandle town. There's one motel, a marina, a long stretch of pristine beach and an old fishing pier with a community casino&#8212; which will be perfect for the film's climax&#8212; when the bad guys blow it up in an all-out assault on the townspeople.Greer slips into town and is ecstatic to find the last unspoilt patch of the Florida gulf coast. She takes a room at the only motel in town, and starts working her charm. However, she finds a formidable obstacle in the town mayor, Eben Thinadeaux. Eben is a born-again environmentalist who's seen huge damage done to the town by a huge paper company. The bay has only recently been..